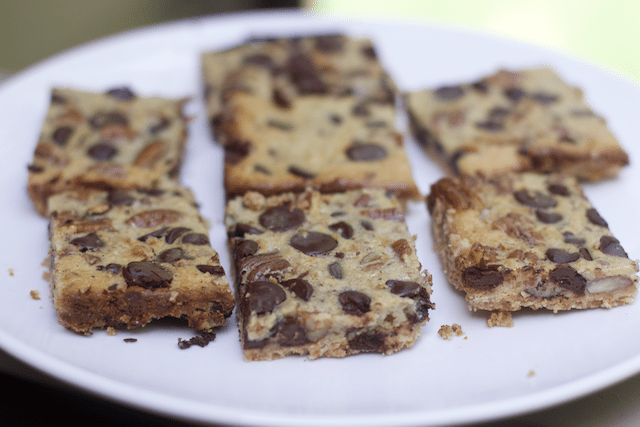 This is an updated post from 2014 for some of the best cookie bars I have made in a long time. 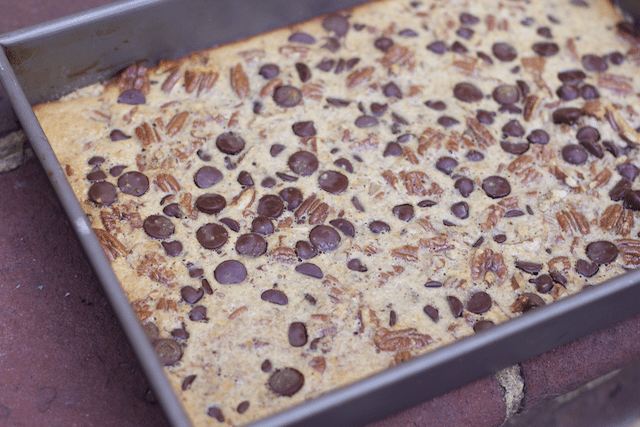 These Cookie Bars are great desserts for a crowd and are portable as well. 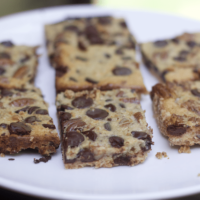 I recently made these chocolate chip bars for a friend and she raved about them as well. My daughter had a friend over the other evening and I gave them the task of making dessert. I know this friend can cook as she helped with the Chocolate Madelines last year. We picked a recipe that I knew we had the ingredients already in the pantry and chose these Easy Chocolate Chip Cookie Bars from a Hershey’s Cookbook. The girls were taught a new skill for this bar cookie recipe. They did not know what a pastry blender was. I was happy to help and glad I was around, as I am not quite sure what they would have created. The hardest part of this recipe is truly making the crust, which is really just a shortbread cookie crust. This recipe reminds me of the Milky Way Bite Bars I made and used a pre-made cookie mix. Once the crust is cooked, all you do is dump your ingredients in another bowl and plop on top of the crust. Bake and cool. Couldn’t be easier especially for novice bakers. 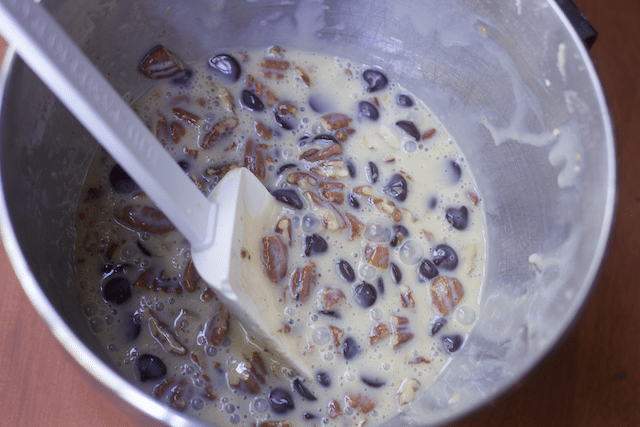 We used a combination of dark chocolate chips, semi-sweet chips, and pecans but I can imagine the combinations are endless. Be sure and watch the pan as the condensed milk can burn quickly making these, not such yummy bar cookies. These are very rich bar cookies, so cut them small. You can always have more than one. There are so many desserts you can make for a crowd for a potluck and this is a great one. I am proud of the girls and am thrilled that this Easy Chocolate Chip Bar cookies recipe has taught them a new cooking skill. 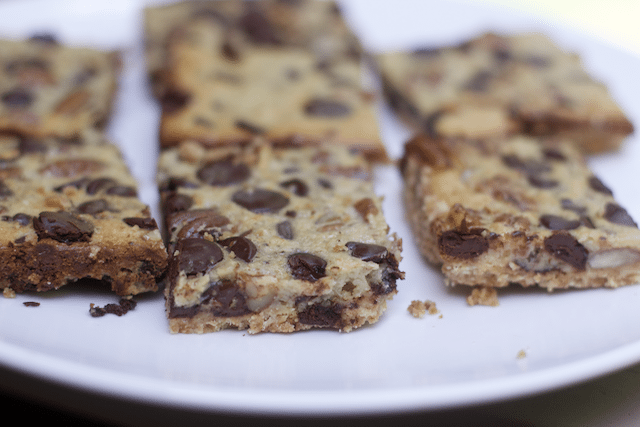 These chocolate chip cookie bars are the best dessert bars I have made. They are portable bar cookies, great for tailgating or gift giving. 2. Stir together flour and brown sugar in medium bowl; cut in cold butter until crumbly. You can also use a mixer for this part. 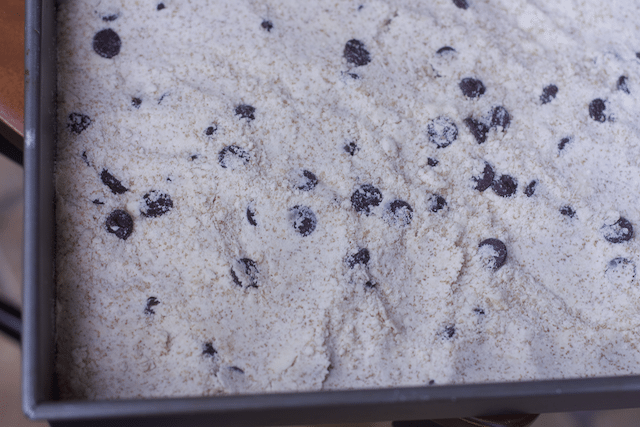 Stir in 1/2 cup chocolate chips; press mixture on bottom of ungreased 13x9x2-inch baking pan. Bake 15 minutes. (I would line the pan with tin foil or pan lining paper. 3. Combine sweetened condensed milk, egg and vanilla in large bowl. Stir in remaining 1-1/2 cups chips and nuts. Spread evenly over hot baked crust. Bake 25 minutes or until golden brown. Watch the oven carefully, they will burn. Cool completely in pan on wire rack. Cut into bars. Pull out of the pan if you lined it first, makes for easier cutting. 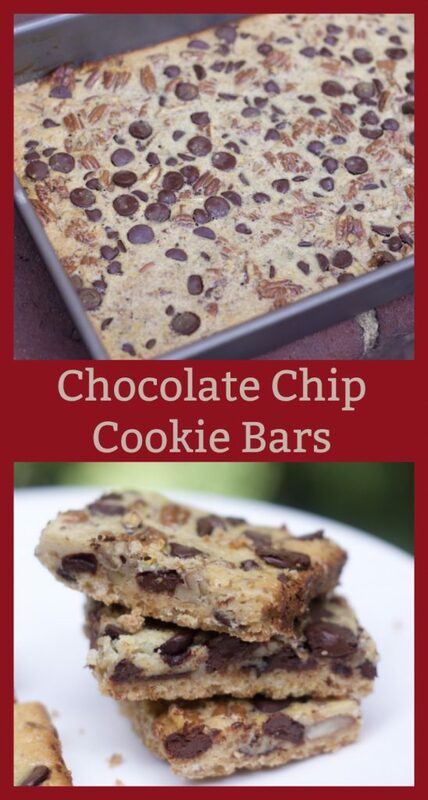 What would you add to these chocolate chip cookie bars to make them your own?